How Do I Choose the Right Locksmith? Home » Blog » How Do I Choose the Right Locksmith? Whether it’s changing the locks for your new home or needing an emergency lockout service for your home, business or car, you want to choose the right locksmith. Right means trustworthy, qualified, and dependable. So how do I choose the right locksmith? Here are some of the steps you can take to make sure you have the right team to work with you and serve your needs. How do I locate and hire a professional locksmith from a reliable local locksmith business? WORD OF MOUTH: Ask those who you trust – family, friends, neighbors, or real estate agents – for references. Recommendations for a company don’t come unless it did a satisfactory job! INTERNET SEARCH: Search for local locksmith companies in your area and visit the websites of the companies, if available, and review the services they provide, hours of operation, and fees and any online specials / discounts. ONLINE REVIEWS: Google Reviews, Yelp, BBB, etc. Once you have identified a few locksmith companies you are interested in hiring, look them up to find out other customers’ experiences. I Found a Locksmith Company I Want to Hire: What Do I Ask for When I Call the Company? Ask for the full, legal name of the business and ask the operator to confirm the address shown in the ad. Note: the company you are calling may operate a “mobile” business or runs the business from home. Ask for an estimate of the total cost for the service you need. Describe the job or the type of lock you to get the most accurate estimate. Confirm that it covers all fees and charges, including feed for a service call, labor, and replacement parts. Ask if the locksmith is insured. This is to cover your losses in case your property is damaged during a repair. Ask if the locksmith is licensed and/or registered. The Locksmith Has Arrived: What Do I Do Now? Ask for his/her identification, proof of insurance, and license or registration. A legitimate locksmith should ask you for your identification to confirm your identity to make sure you really own the property or vehicle before starting work. Remember the estimate you got from the phone operator? Write it down and also ask the locksmith on site to write one up before s/he starts working. A qualified, legitimate locksmith has the necessary tools, education, and skills to unlock almost any door. Drilling should be the last resort. Get a written invoice before you hand over your payment that lists labor, keys replacement parts, and all fees you’re being charged. Save the number for the locksmith in case there’s a next time. Leave a positive online review and spread the good words! Local businesses rely on good references to continue providing their excellent services. Are you currently looking for the right locksmith? Star Locksmith provides all the locksmith needs in the Greater Philadelphia area and we are waiting for your call! We have been thinking about replacing the locks in our house, but didn’t know how to choose the right person. It’s interesting that you say to look at some of their online reviews and see what their customer experience was. It would be nice to know that others were satisfied with the service they chose. A friend of mine was telling me that the lock on his front door was jamming a lot. He was thinking about hiring someone to come and help him fix it up. I really like that you say to ask them for an estimate on how much the services you need will cost. It would be nice to know that you will be able to get the best price for fixing a lock. My husband and I just moved into a new house and I’m wanting to get all of the locks changed as soon as we can. Thank you for pointing out that word of mouth is a great way to find a locksmith. I’ll have to look into finding the best locksmith in our area. I strongly follow word of mouth. It helps a lot. My husband and I have just purchased a new house and we would like to get the lock rekeyed. Your information that we can find a quality locksmith by checking both Google and BBB reviews is really helpful. Checking their reputation on multiple sites would definitely help us verify the quality of a locksmith’s services. My dad accidentally left the keys inside his apartment and he doesn’t want to damage the locks. It was explained here that it will be best to as for the estimate of the service that he will need. 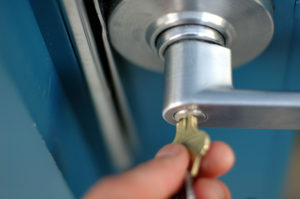 Furthermore, it’s recommended to hire professionals for quality locksmith services.